Jimmy Bullard confesses he STOLE FOOD from I’m A Celebrity bosses! Jimmy Bullard has confessed he STOLE FOOD from I'm A Celebrity bosses during his series as he was so hungry. Gemma Collins has donated her full I’m A Celebrity fee to ‘Save The Children’! Gemma Collins has donated the full amount she was paid to go into the I'm A Celebrity jungle to 'Save The Children' charity. Is Jake Quickenden dating I’m A Celebrity King Foggy’s daughter? Reports state that Jake Quickenden is currently dating I'm A Celebrity winner Carl Fogarty's daughter Danielle. X Factor: Cowell criticises Jake Quickenden over ‘I’m A Celebrity’ decision! The X Factor judge Simon Cowell has criticised former contestant Jake Quickenden's decision to appear on I'm a Celebrity... Get Me Out of Here! I’m A Celebrity 2014: Carl ‘Foggy’ Fogarty is crowned King Of The Jungle! World superbike champion, Foggy has been voted King of I'm A Celebrity 2014 by the general public, leaving Jake Quickenden the runner up. I’m A Celebrity 2014: Third place goes to Melanie Sykes! TV presenter, Melanie Sykes has come third place in this year's I'm A Celebrity, after voting lines were frozen. 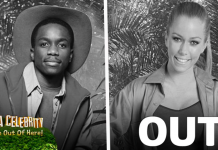 I’m A Celebrity 2014: Kendra and Tinchy leave in double elimination! British rapper, Tinchy Stryder and American reality TV star Kendra Wilkinson have been voted out in the double elimination. 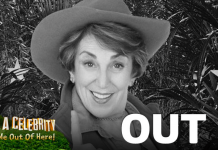 I’m A Celebrity 2014: Campmates on evacuation alert as storm hits jungle! The celebrity campmates are on evacuation alert as a huge storm has hit the jungle where they're currently filming the show.